Being a mom of an energetic 4-year-old is no easy task and it’s not very often that I can kick back, relax and watch a movie. I had to plan my mama’s movie night in advance, so I went to my local Walmart on Sept. 22 and picked up the Pitch Perfect 2 Blu-Ray/Soundtrack combo pack, which includes songs from both Pitch Perfect and Pitch Perfect 2! It was definitely time for Pitch Perfect 2 and some Cake Batter Popcorn! I was so excited to have a movie night uninterrupted so next I had to prepare my favorite movie snack … popcorn! 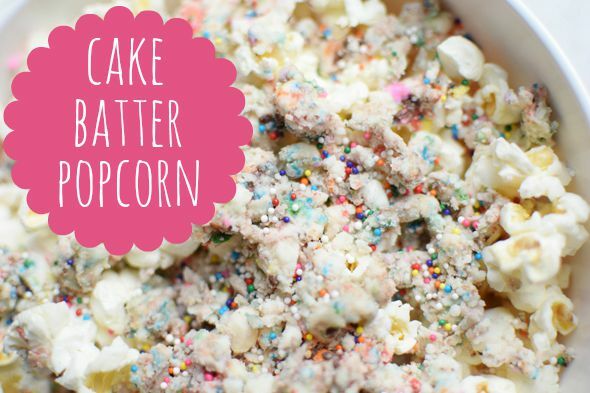 But not just any popcorn – Cake Batter Popcorn! 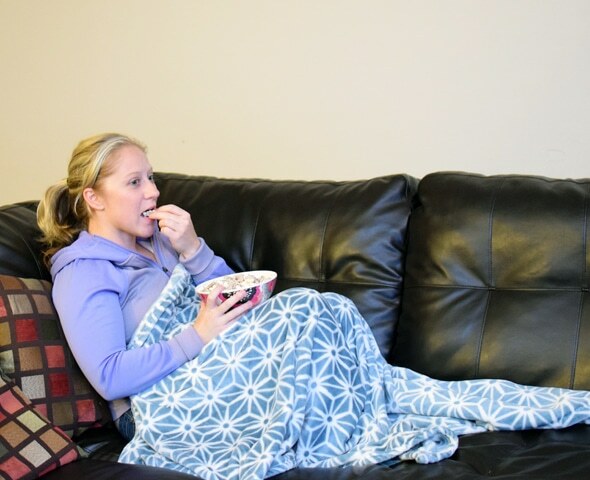 A movie night just isn’t the same without popcorn but I was definitely taking this movie night to the next level with some yummy Cake Batter Popcorn! And you know what … it was all for me! This is one of my favorite ways to make popcorn! It’s so easy and delicious! 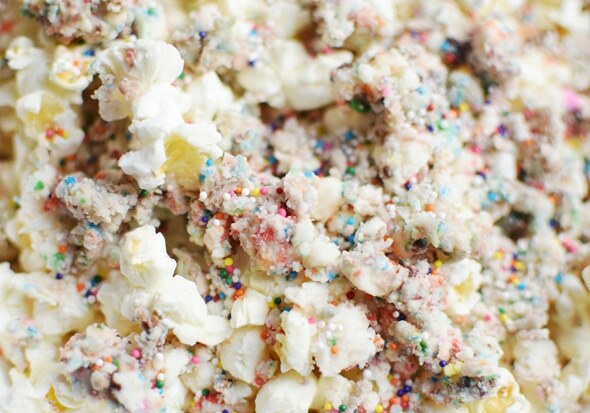 Cake Batter Popcorn drizzled in cake batter, white chocolate and sprinkles will definitely satisfy your sweet and salty craving! It’s the perfect treat to make for movie night, game night, or any night! Line a sheet pan with parchment paper and spread out popcorn on top. Place white chocolate in a microwave safe bowl. Microwave on high for 30 seconds. Stir. Continue to microwave for 20 second intervals, stirring in between until completely melted. Stir cake batter into melted white chocolate and add sprinkles. Using a spoon, drizzle melted white chocolate on top of popcorn. Use a spatula to evenly coat the popcorn with the white chocolate mix. Let it sit a few minutes before eating. Enjoy! 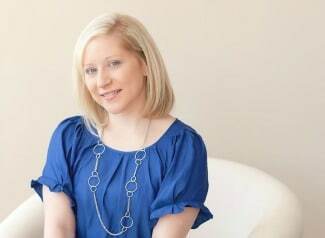 If you’re a busy mom, remember to take time for yourself! Better yet, head to Walmart and grab the exclusive Pitch Perfect 2 Blu-Ray/Soundtrack combo pack. 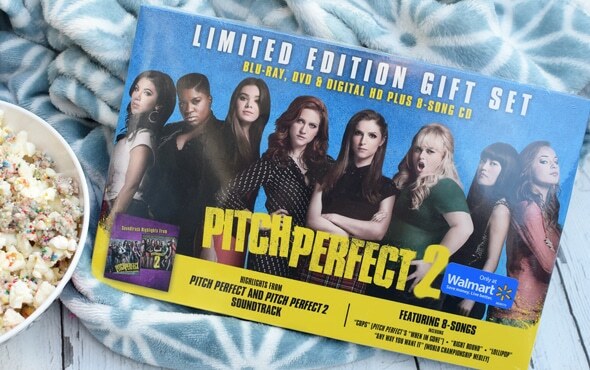 Soundtrack includes some of your favorite songs from Pitch Perfect and Pitch Perfect 2 (while supplies last). 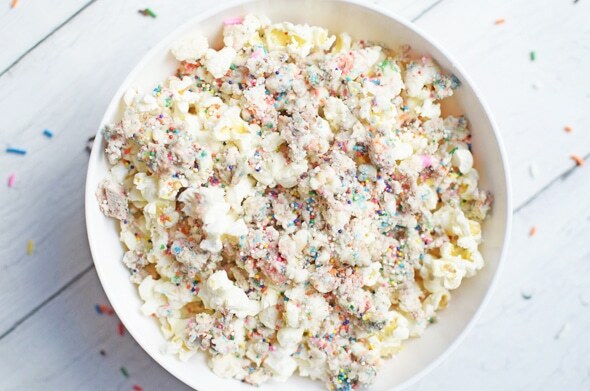 And while you’re there, pick up the ingredients to make the OH SO Delicious Cake Batter Popcorn so you enjoy a movie night … you deserve it!